Some homes simply ooze elegance and style. 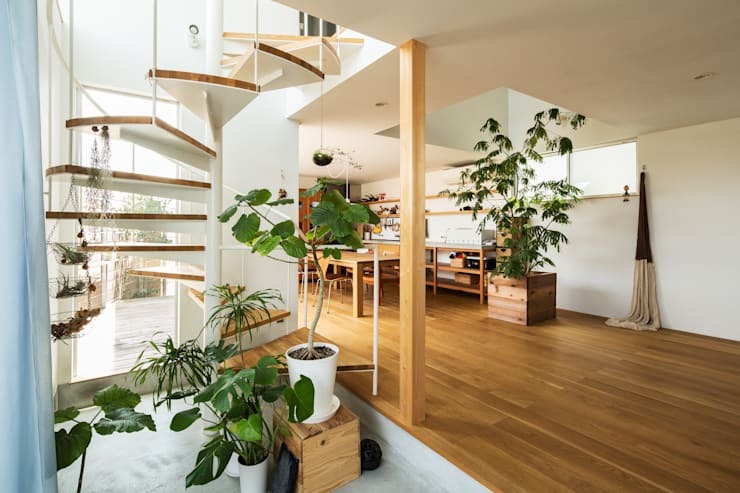 Whether it’s the ambience, atmosphere or aura, pretty much everyone knows a well-designed house or apartment once they step inside. We tend to swoon over these drool-worthy homes, without actually taking a more in-depth look at how simply and easily these homeowners have created the ultimate chic dwelling. Want to know what their secret is? There are a few must-haves, which every desirable abode almost always includes. Pair this with a few unique accoutrements, and a residence can go from dull to dramatic in an instant! Crack the design code to your home, and take a peek at the following 8 essentials every stylish apartment has inside. In order for your dwelling to feel stylish and professionally designed, you need to include a range of different textures. See this room above? It includes numerous textural elements such as the shag rug, sleek side and coffee tables, cosy sofa and timber shelving. This helps it to feel welcoming, engaging as well as seriously stylish. Any professional interior designer will tell you, the secret to a stylish and well-decorated space is keeping things simple. Even maximalist rooms embrace a form or restraint, and this is important to ensure the overall aesthetic is clutter free and elegant. A focal point is a must-have when designing a stylish and sophisticated abode. 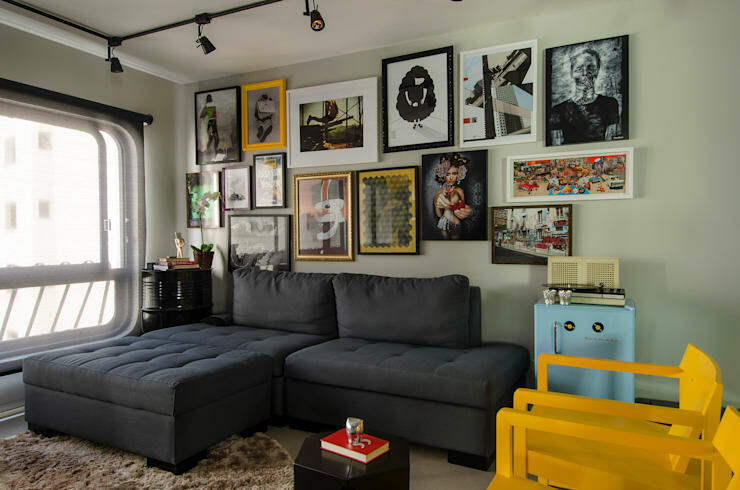 In this living room example the designers have included a salon (gallery) wall, which draws one's eyes directly to the ample supply or artworks. To give you a few ideas, a focal point might be a fireplace, a statement piece of furniture or a lavish light fitting. Just as we add different textures within a space, it is also a great idea to add different eras. Vintage furniture juxtaposed against contemporary items look fabulous, and enhances a room tenfold. Get creative with your interior design and pull out a range of different accessories, ornaments and objet d'art. Look for unique and eye-catching pieces that will grab attention and demand recognition. 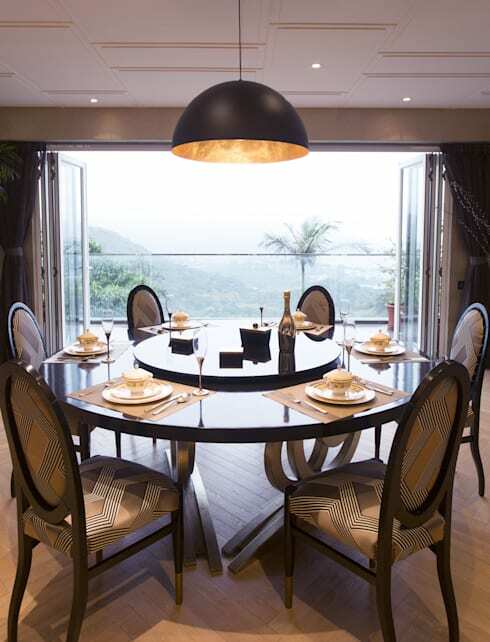 The right lighting is crucial to the success of your stylish home's design. Employ the wrong lighting, and your room is destined to feel unwelcoming, imperfect and inferior. Look at utilising indirect light where possible as this adds a subtle welcoming mood, while standout light fittings work wonders when used in popular gathering points of the home. There is nothing stylish about clutter, mess and chaos. Take a little time to de-clutter your home office (as well as the rest of your abode), focusing on creating an inspirational and aspirational space. Finally, what we believe every home needs, indoor plants. Organic plants bring a sense of life and verve to an interior and work brilliantly in creating an effortless place of refinement and grace. What style essentials can't you live without! Let us know below!